The new hansgrohe Metropol range of mixers makes a striking appearance with its consistently geometric design language. 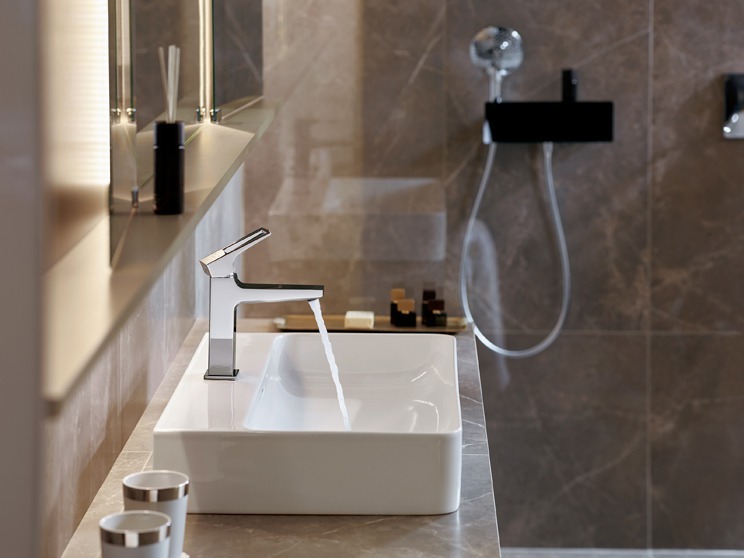 In collaboration with its partner of many years – Phoenix Design – the brand hansgrohe has developed its most comprehensive range of mixers to date; it not only features a choice of three types of handles, but is also the first range to include a floor-standing washbasin mixer for use with free-standing washbasins. Striking design is the distinctive and defining feature of the new Metropol mixers: precise geometric contours, spheres and rectangles blend with expansive surfaces, casting delicate reflections of light. The cubic shape of the base conveys an elegant modernist aesthetic. Handle and spout harmoniously complement each other thanks to their parallel alignment. The rectangular shape of the escutcheon is consistent in keeping with the overall design. The basin mixers come in four different tap heights, providing space for individual needs, whether for washing hands, shaving or filling receptacles. Moreover, the hansgrohe Metropol 100 basin mixer is available in two versions; with either a 160mm or a 190mm spout length for a variety of uses at the washbasin. Models with a high swivel spout, for example, are perfect for washing hair. 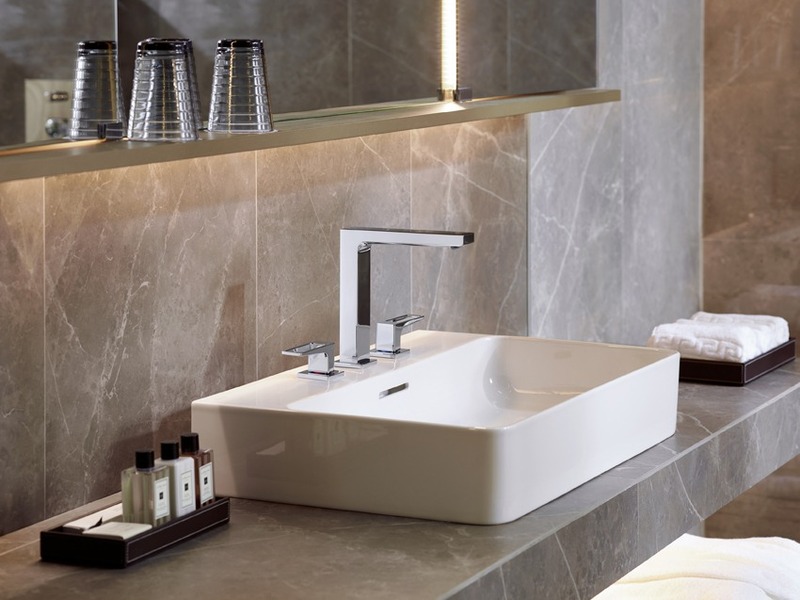 With an overall height of about 1200mm, the new floor-standing Metropol basin mixer is not only a visually striking highlight in the bathroom, but can also be easily positioned, making it a flexible complement to free-standing washbasins. 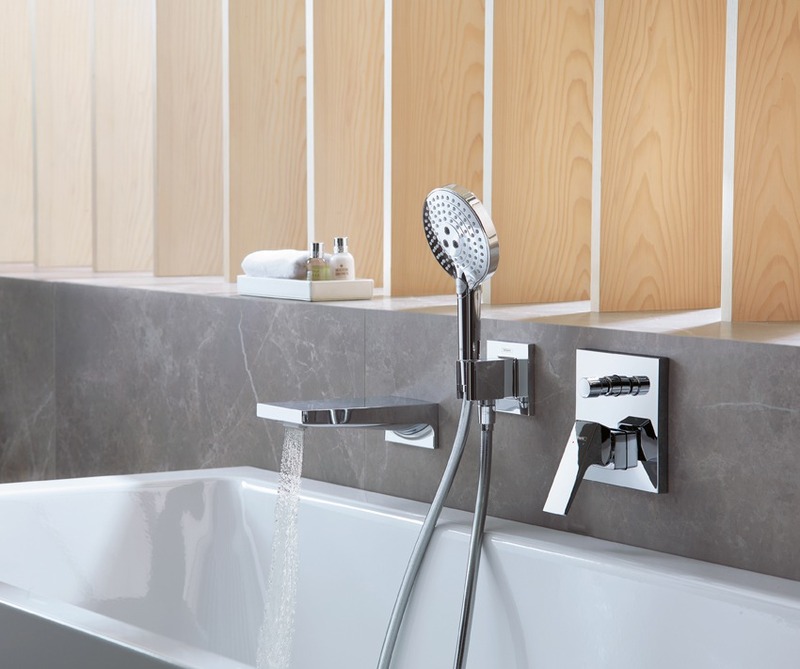 For a stylish overall ambience, the comprehensive Metropol range also includes shower and bathtub mixers for exposed or concealed installation. A floor-standing model is a fitting and attractive solution for free-standing bathtubs. For the Metropol mixers, the designers introduced a new take on the loop handle success story. 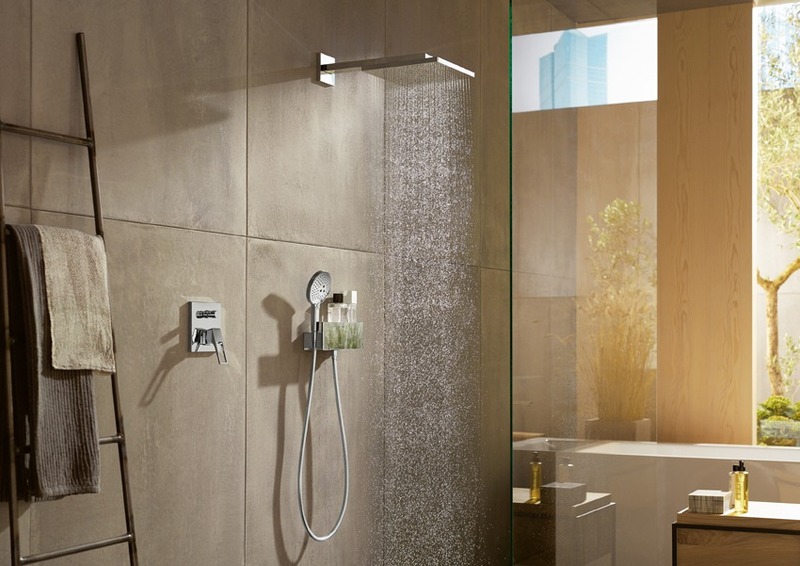 In addition to mixers with a flat lever handle, hansgrohe offers customers a choice of models with a slender loop handle. A third version is the mixer handle with integrated Select technology. It combines minimalist design with the intuitively easy Select control: the flow of water can be turned on and off at the simple touch of a button. If you have soapy hands, for instance, you can press the button using the back of your hand or your lower arm and your mixer stays dry and clean. The technology is purely mechanical and works by means of a specially designed cartridge. This added convenience requires neither electricity nor additional devices in the base cabinet. Water temperature is selected by turning the handle.